Whether it’s after a night out with your friends or you’re on the run and grabbing a slice, pizza is always good. With an extensive variety of pizzas and places to get it, how does one choose their favorite spot? We’re here to help you out. Here are 10 of the best pizza restaurants in Mississippi where you’re sure to find your favorite. Brooklyn's Pizzeria in Gulfport is an unassuming little place tucked into a shopping center, but it's almost always busy thanks to their great pizza and loyal following. 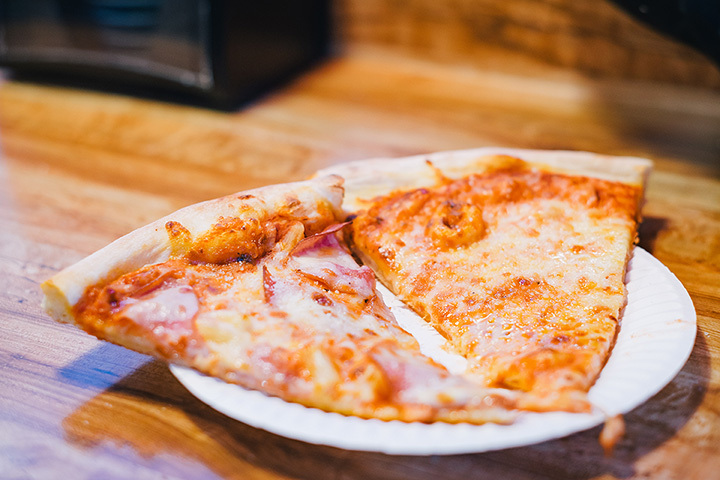 Their classic New York-style pizza is sold by the slice or whole, and they're known for having huge pizzas at a great price. Opened with the idea of bringing back “real pizza,” this restaurant focuses on the freshest ingredients, locally-sourced when possible. With a growing list of awards and a third location opening soon in the Jackson area, the concept is obviously working for them. For a unique twist, try the Thai chicken pizza. Buon Cibo is home to Hernando's best pizza. The different pies are named for regional towns, including The Natchez, The Hernando, The Oxford, and The Starkville. Locals love the cozy atmosphere. They are also known for having one of the best burgers in the Memphis area. Soulshine's stone-baked pizzas are such a hit, they've expanded throughout Mississippi and Tennessee. This family-friendly, music-loving restaurant specializes in bold flavors and original combinations, such as The Boudreaux, a marinara-based pizza featuring andouille sausage, crawfish tails, onion, and bell pepper. Sal & Mookie's has two locations in Mississippi, one in Jackson and one in Biloxi. They're known for being a cool hangout with great pizza, daily drink specials, and delicious ice cream creations. They are plenty of options on the menu, so everyone is sure to find something they love! Bianchi's in Hattiesburg is a family-owned, Old World-style restaurant whose passion for what they do is evident in every bite. Bianchi's uses a wood-fired oven for a taste you won't find anywhere else in the area. Build your own pizza or enjoy one of their gourmet options, such as the Tuscan, which features duck. Lost Pizza Company's signature pies are so popular, they've now opened nearly locations all over the state. If you like specialty pizzas, you'll love Lost Pizza Co. Try the Bacon Cheeseburger, with ketchup, mustard, and pickles. Or if you like a healthier option, The Happy Hippie is a veggie-friendly choice with a ton of flavor. Tony's Brick Oven Pizzeria in downtown Gulfport is popular for its cozy ambiance, delicious food, and excellent service. The menu is made up of Italian comfort food, and everything looks so good it can be hard to stick to pizza. You won't be disappointed no matter what you order, but the Gumbo Pizza is a unique pie with local flair. Whether you're a longtime fan of Chicago-style deep dish pizza or you've never tried it before, you'll love Wiseguys Chicago Pizza in Horn Lake. They're located in an old house and their pizza creations are seriously impressive. Each pizza is made to order, and they take a while to cook, but it's worth the wait. You'll probably need to bring a friend to help you finish! Students at Mississippi State University know the best place to get a pie in Starkville is at Stromboli's. In addition to their regular menu, they also offer daily and weekly specials. If you're trying to decide what to order, The Fav is probably a good place to start—a chicken, cheddar, bacon, and ranch pizza is sure to live up to its name.